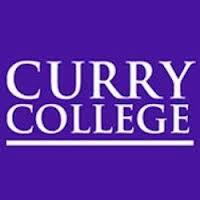 Approximately 2,000 Curry undergraduates come to study in our friendly atmosphere. Close to 450 graduate students and 1,650 continuing education students also choose Curry as their academic home. You'll find more than 1,400 of our undergraduates living on campus. Curry College offers all of the quality academic programs and services you expect from one of New England's finest community-oriented and career-focused accredited liberal arts-based institutions. Each year, we continue to grow and enhance the programs and facilities for undergraduate, graduate and continuing education students at Curry's beautiful, wooded, 135-acre campus near the Blue Hills Reservation in Milton. With our campus in Plymouth, we also provide continuing education and graduate programs in a convenient and easily accessible downtown location.